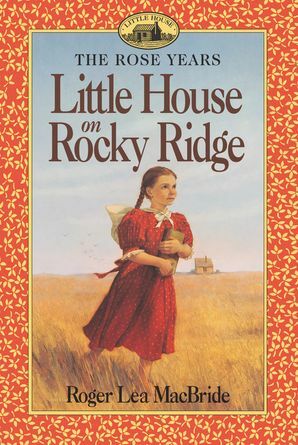 The first book in the Rose Years series, the story of the spirited daughter of the author of the beloved Little House series. Meet Rose Wilder, Laura Ingalls Wilder's daughter, and the last of the Little House girls. Rose and her parents, Laura and Almanzo, say good-bye to Ma and Pa Ingalls and Laura's sisters. In a covered wagon containing all their possessions, they make their way across the drought-stricken Midwest to the lush green valleys of southern Missouri. The journey is long and not always easy, but at the end is the promise of a new home and a new life for the Wilders.